In 1972 an employment counselor asked Rich Capparela, "If you could be anything in the world, what would you be?" Without hesitation he replied, "A classical music radio announcer!" 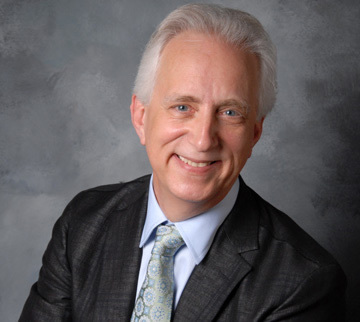 Today Rich is one of the best-known classical music radio personalities in the United States. He is currently a Senior Announcer/Producer at KUSC-FM in Los Angeles. His recording company, Cardiff Studios, produces commercials and programming for U.S. arts organizations, including the Chicago Symphony Orchestra and the Kansas City Symphony. He's appeared as narrator at Carnegie Hall in music by Benjamin Britten and has performed in Southern California with the Boston Pops and conductor Keith Lockhart, narrating The Night Before Christmas. In 2009 he began an association with the Metropolitan Opera when he hosted the Met's prestigious Western Regional Finals competition. Since 1995 Capparela has hosted live radio broadcast concerts by the Pacific Symphony. 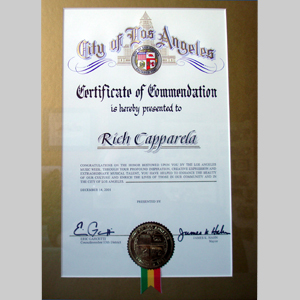 In December of 2001 as part of Los Angeles Music Week, Capparela was honored in chamber by the Los Angeles City Council for his contributions to the city's music community. In 2002 Capparela provided program notes for the Los Angeles Guitar Quartet's Grammy nominated album LAGQ: Latin. Rich continued his association with the Grammys in February of 2004 when he presented the year's classical Grammys in Los Angeles. In January 2010 Capparela hosted the Grammy Salute to Classical Music honoring Placido Domingo. He is active as a lead singer and guitarist with a four-piece cover rock band, Otherwise Normal. Rich and his wife Marcia, a private school administrator, live in Santa Monica, California.